Some rehab centers in Vietnam are doing all that they can to keep their patients away from addictive substances – military-like scheduling, strict behavioral expectations, and work programs – with one specific goal in mind: helping to build better people who can return to society clean and drug-free. A Tuoi Tre (Youth) newspaper reporter visited these rehab centers to witness how heroin addicts are struggling to leave their dark pasts behind. Every new day starts promptly at 5:30 am at the Drug Rehab Center No.2 in the Central Highlands province of Lam Dong. After washing up, the center’s patients exercise together in the facilities courtyard before sitting down for breakfast. Afterwards, each is assigned a different task for the day. For Bui Bao Truc, an addict from Ho Chi Minh City, this means working on a coffee plantation. “At first, I could not draw enough strength to perform the task but now I’m getting the hang of it,” Truc told Tuoi Tre. In the meantime, others ‘go to work’ at the back of the center’s cafeteria, where they spend their time peeling and knitting bamboo strings, which will be turned into household items. Nguyen Phuc Hung, 35, a patient at the facility, is in for his second time. He’s never done this kind of work before and relapsed after his first time getting clean when his mother passed away. Hung’s treatment process at the center has been one of self-discovery. Since entering he’s realized that he can, in fact, contribute to society and find purpose in life. “It was at this place that I came to terms with working and following regulations,” Hung expressed. This daily procedure is roughly the same at the Drug Rehab Center No.3 in the southern province of Binh Duong. Tuoi Tre visited the center one day in March when its 1,200 patients, tired from a hard day’s work, were waiting for their dinner to be served. As they waited, their hearty laughter fill the space and their healthy-looking faces cast bright smiles on the room, adding an air of hope to a room full of men who, just months ago, had been totally dependent on opioids. Nguyen Trong Thong, 40, is the oldest recovering addict at the Drug Rehab Center No.3. This is his third time in the facility. In 2016, he relapsed just two months after his first release from rehabilitation. A short time after he was released again he found himself convicted of another drug charge and sentence to two years at the center. “I have nothing left, you know,” Thong told Tuoi Tre. Patients at the center are paid for the labor. Though the wage is a meager VND2 million (US$86.23) per month, it is more than enough to encourage ex-addicts to work legally instead of turning to petty thievery upon their release. Nguyen Minh Du, a 20-year-old man who has been admitted to the center twice, agrees that the payment scheme is a priceless factor for rehabilitation. “I have spent four years suppressing my addiction at this center,” he said. But money isn’t the only driving factor for these patients. Duong Quang Hung, 30, was forcefully admitted into the center. 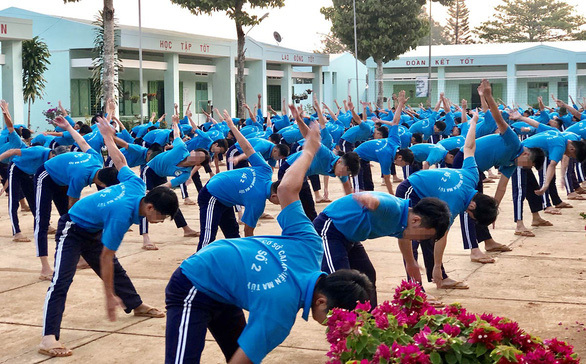 At first, Hung found himself brawling with other students almost on a daily basis, until one of the center’s trainers, Vo Chi Cong, changed his life. Cong chose to talk with Hung and reminded the him that his mother was at home, praying for his return. The talk impacted Hung and he promised himself that he’d rehabilitate to the best of his ability so that he could once again be with his mother. Heroin addicts in Vietnam tend to be shunned by society. This prevailing attitude is a huge factor in the country’s high relapse rates. Oftentimes, addict expected to be welcomed home, but instead find that things have changed. Cuong, 38, began using in 2000 when his then girlfriend’s brother pressured him into trying heroine. Over the past two decades he has been in and out of various rehab centers at least four times. Each time, the moment he gets out, he goes right back in. According to Cuong, the reason for his reckless attitude towards the substance, was because no one ever believed in him, even his family, after his rehab. Every time he got too near the cash counter people are be suspicious of him. “There is just no real way out,” Cuong stated. Cuong is but one among many of his peers, who also got back to square one after all they had been through, merely due to social distrust. Nguyen Minh Tien, 34, thought he had risen above such prejudice, when he finally landed a job as a blue-collar worker at a local factory. But news about his past admission at the rehab center soon spread out, which heavily dampened his effort to get on to the friendly side of his colleagues. “If you go to work, people will think you are just hanging out with bad guys,” he said. 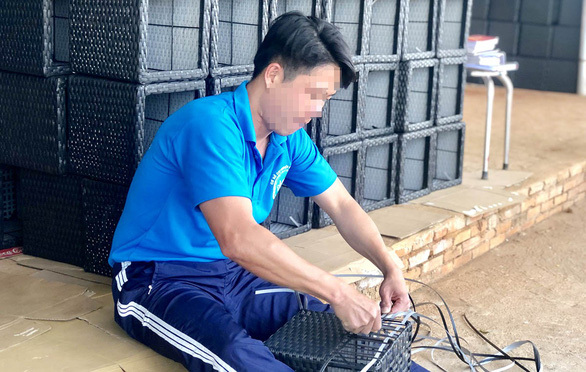 Though Vietnamese rehab centers have pulled off quite some feat when it comes to its trade, it seems the whole process will just come to waste, as they cannot “train” the outside society to accept the ex-addicts back. According to Truong Van Hau, direct of the Drug Rehab Center No.2, aside from each rehabbing addicts’ willpower, to successfully stay off drugs altogether, all-in support from the community is mandatory. Without this support, ex-addicts have nowhere to turn – except towards drugs. By the end of 2018, there were 223,000 officially registered heroin addicts currently in rehabilitation in Vietnam. In 2016, the figure was only 11,831. Fifty-eight out of 63 provinces and cities in Vietnam observe an increase in the number of addicts within their localities. While 50.9 percent of the addicts are 30 or older, younger people are also exposed to the addictive risk, as those aged 16-30 make up the second largest amount of 49 percent. According to the latest report, 96 percent of the addicts are male.